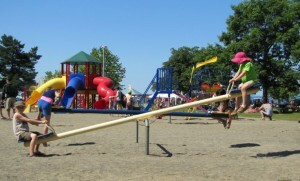 Push versus pull, teeter versus totter. Those are some diametrically opposed ways to think about the universe. Of course, there is black versus white, another diametrically opposed pair of opposites. If you are the human resources administrator, employer, or the manager of a study abroad program for a university or perhaps a nonprofit, you have probably al ready realized that security is a team effort. Yes, you must educate your client base to be proactive when it comes to their own security. And yes, you must take the lead at pushing out notifications and requirements so that they are truly as secure as is possible in this increasingly dangerous world. All of this brings us back to the world of push versus pull. Most people think of security as a reactive or pull process. They think, for example, that they may be stranded in Nigeria, Germany, or France during a medical epidemic, and then they will proactively take steps to improve their security. Perhaps they will use their cell phone to find notifications from the local health authorities about a potential problem. Or, they will realize when they have been a victim of a crime, that it is nice to know the phone number of the local police department. All of this is reactive or pull, in the sense that the client is taking the initiative. Push notifications, in contrast, are about being proactive, about acting in advance, or about pushing messages out to your client base. Our travel app is focused on security, but not in just a “pull” sense. By unifying it with best of class information about all types of security threats across the world, our staff is able to push notifications out to your clients in whatever country they are located. In this way, for example, they may be pre-alerted about a security problem due to political demonstrations such as those we are currently seen in Brazil. Or, they may be proactively informed about an outbreak of a virus, again, such as the Zika virus which we have seen in North America recently. The beauty of our app is that it is not just push, and it is not just pull, it is not just reactive, it is not just proactive, but it is all of these things simultaneously. Is not technology a wonderful thing? If you are interested in a demo of the app, please reach out to us as it is no cost.